Coop owners refuse plan, grant to improve coop hygiene. 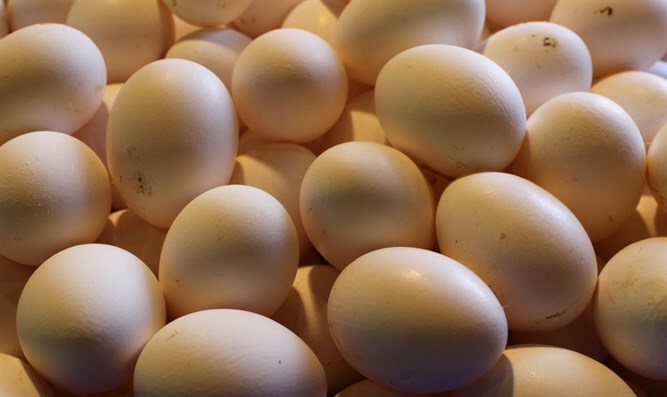 Thirty percent of Israel's eggs are infected with salmonella, Israel Hayom reported. Meanwhile, the coop owners refused the plan to improve the level of hygiene in the coops. The plan would have included a grant of 340 million NIS, distributed over a period of five years. Israel Hayom quoted a report from the Agriculture Ministry noting that 10% of the laying hens inspected are infected with salmonella, and an additional 4.4% are infected with a more aggressive strain of salmonella which can be life-threatening to at-risk populations such as small children, the elderly, and the chronically ill. Since 2016, 3,198 Israelis have become infected with salmonella. Health Ministry Director General Moshe Bar Siman Tov said that he "refrains from eating eggs from Israel."